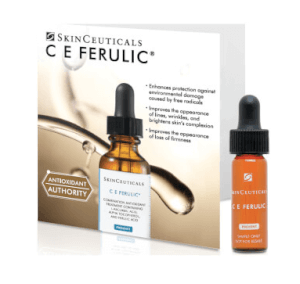 SkinCeuticals Emollience is a rich, moisturizing formula that visibly nourishes, hydrates and strengthens your skin for a smoother, softer and more toned surface with each use. Ideal for those of all skin types, especially dry and dehydrated, who want softer, smoother and more nourished skin. Apply once or twice daily to dry, clean face, neck and chest. Massage gently until product is fully absorbed. Aqua / Water / Eau Glycerin Sesamum Indicum Oil / Sesame Seed Oil Propylene Glycol Glyceryl Stearate Vitis Vinifera Seed Oil / Grape Seed Oil Rosa Canina Fruit Oil Macadamia Ternifolia Seed Oil Mangifera Indica Seed Butter / Mango Seed Butter Stearic Acid Palmitic Acid Triethanolamine Caprylic/Capric Glycerides Phenoxyethanol Panthenol Carbomer Chlorphenesin Caprylyl Glycol Aloe Barbadensis / Aloe Barbadensis Leaf Juice Disodium Edta Allantoin Laminaria Ochroleuca Extract Ginkgo Biloba Extract / Ginkgo Biloba Leaf Extract Chlorella Vulgaris Extract Algae Extract , Prunus Cerasus Fruit Extract / Bitter Cherry Fruit Extract Fagus Sylvatica Extract / Fagus Sylvatica Bud Extract Lavandula Angustifolia Oil / Lavender Oil Rosmarinus Officinalis Leaf Oil / Rosemary Leaf Oil Prunus Armeniaca Kernel Oil / Apricot Kernel Oil Mentha Piperita Oil / Peppermint Oil Linalool Mentha Piperita Extract / Peppermint Extract Chamomilla Recutita Extract / Matricaria Flower Extract. Lightweight but creamy, a little goes a long way, good for summer but seems like it will be good for northeastern winters too. This creme has worked beautifully for me - no adverse reactions once applied and my skin is still smooth and well hydrated in the morning. 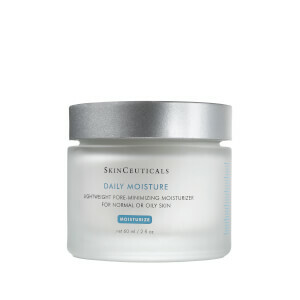 This moisturizer is very light, easy to apply and quick-absorbing. I started adding it to my regimen when I moved to a higher altitude area and my skin became dryer- especially during the colder months; my skin is very sensitive and it reacts to everything but I've never gotten a single pimple or bump with this cream. 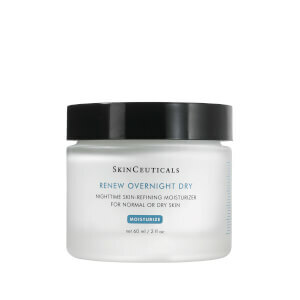 I use it once a week as a nighttime treatment and my skin feels amazing in the morning. Highly recommend! love this daytime moisterizer. have been using it for some time. I LIVE IN A VERY DRY CLIMATE AND MY SKIN REFLECTED THIS UNTIL I PURCHASED EMOLLIENCE. USE IT DAILY AND HAS KEPT MY SKIN MOIST AND SOFT. BELIEVE ME I HAVE TRIED EVERYING AND THIS IS A KEEPER. Have used it on and off for years. It's not too heavy. At least once a year I'll try other brands but always come back to Emollience. I bought this when I moved to the mountains and my sensitive skin became dry and red on cheeks- works wonders! Goes on super smoothly, smells nice but not strong, absorbs quickly and lasts all night. It also makes my skin more even toned, glowing and a healthy pink. It's my winter moisturizer and I'm even using it now in the Spring since I started using Pigment Corrector which is more exfoliating and my skin is "pulling" a bit. Love, love, love! I use this in the morning before sunscreen. It is very silky and does a nice job of hydrating. I have only been using it for a few weeks. My skin is flaking a bit from retinol so I thought I needed something thicker like an emollience. It works for a few hours but the flaking comes back. My skin is getting less dry day by day so I will give this cream the credit.